Kia will introduce an original concept-car at the Paris Motor Show in October: the Pop. What a cool name! It’s surprising nobody has used it already. 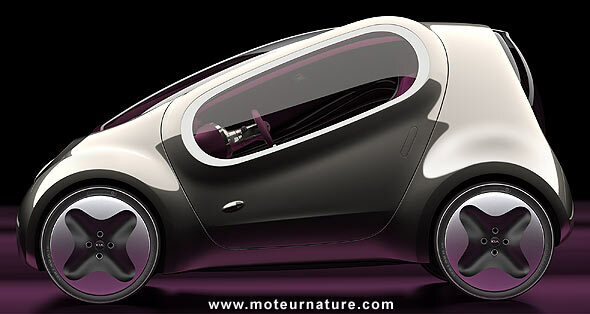 It’s a 3-seater city car, and it’s electric, but we don’t have any technical data yet. These first renderings show a truly daring design, with perfectly oval side windows, and a huge windshield that goes into the roof, or that makes most of the roof actually. 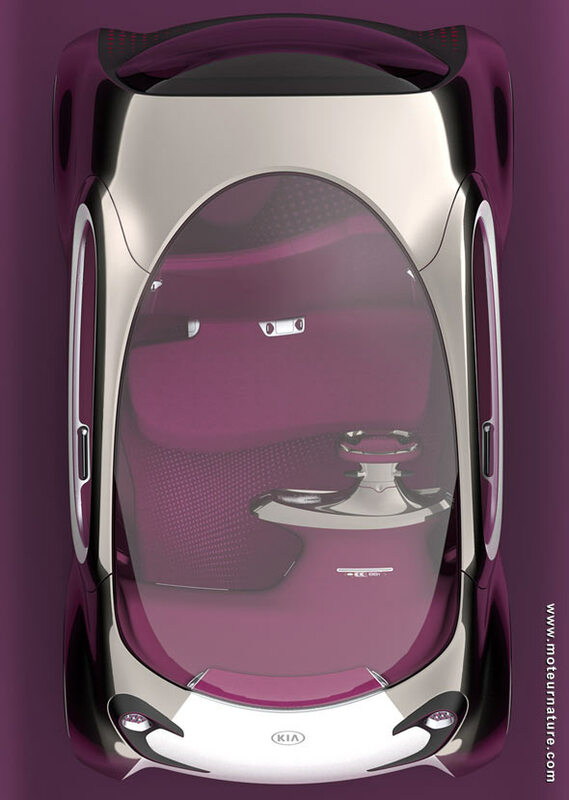 We guess such a piece of glass would be very expensive to manufacture… With 3 seats, the Pop has an asymmetrical bench in front, where the passenger is closer to the front of the car, to make room for one single back seat behind him. I’ll tell you more when I’ll see the car at the Motor Show.